AEP Energy Reward Store is our one-stop online marketplace filled with a variety of energy-saving and connected-home products for your home available exclusively for our valued customers. It is a simple and convenient way for you to shop for items to make your home more energy efficient while saving you time and money. You can earn Reward Dollars to use in Reward Store by enrolling on an AEP Energy price plan. 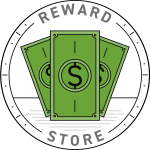 One month after your enrollment date, you will start earning Reward Dollars to use towards your purchases in Reward Store. How Does AEP Energy Reward Store Work? Collect Reward Dollars each month for simply being an AEP Energy Customer. Shop AEP Energy Energy Reward Store product collections like smart thermostats, LED lighting, connected home, and more. Redeem your Reward Dollars instantly at checkout and enjoy smart solutions for your home. Don’t wait! Start earning Reward Dollars now by enrolling on an AEP Energy price plan with Rewards Dollars!